Hawks won 35-19 against Ealing. Charles Fletcher netted eight times, while Jack Berry and Josh McDaid scored seven goals each. Daniel Aruajo and Jarred James also shone in goal for Hawks. Saimonas Urbutis beat the keeper seven times for Ealing. Wolves’ boys followed their girls’ team in to Super 4 with a hard-fought 24-18 win against a good Poole Phoenix side. Evan Nichol topped scored for Wolves with eight goals with Sebi Hesk also scoring six. Jack Booth excelled in goal for Wolves. In the South top seeds Oly Cats 1 had a big win against Deva 44-25 with Adam Harwood scoring an amazing 20 goals. 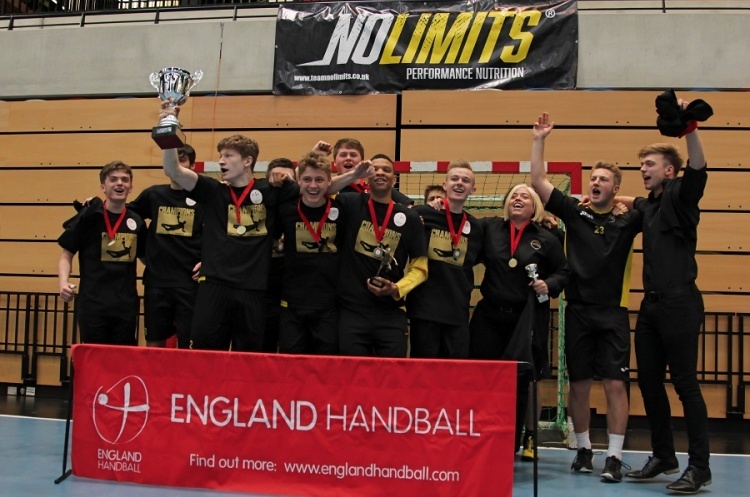 In the final boy’s game of the weekend Carshalton Titans, last year’s cup finalists lost 29-24 to Nottingham in a close encounter. Francesco Pereira notched 10 goals for Nottingham, while also in Benedict Sznajder struck seven times. Tyler Gilborn scored seven times for Titans. Titans, along with Deva, Poole and Ealing with play in the Boy’s Championship 4.